The Griffins are a family dedicated to protecting and preserving reptiles of all kinds, even those that are not always popular with people. Together they run CCSB Reptile Rescue & Rehab. The name comes from a combination of their first names, Chad, Cristina, Sabastian and Balian, and reflects that they are in this together, as a family . Keeping people and reptiles safe from one another is their primary mission but they are also educators, helping the public better understand the wonder of these creatures and the important role they serve in nature. They also help train professionals in the field of public safety, such as police, sheriff’s and other law enforcement agencies, showing them how to safely handle and remove these creatures with a minimum of risk to both themselves and the animal. Patriarch Chad Griffin is a professional herpetologist and educator, who loves to share the amazing things he has learned about these animals. 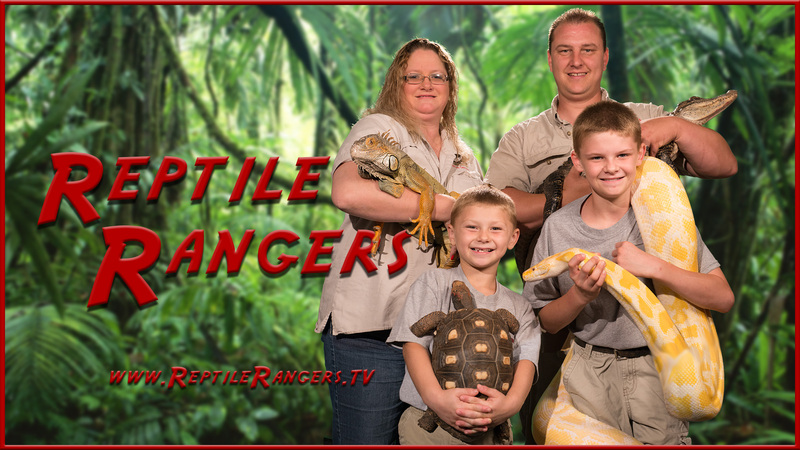 This lead to the creation of the Reptile Rangers series as a method to help him get the word out about the animals he loves so much, and to help others better understand their beauty and purpose in nature. He is joined in this mission by his wife Cristina and their two boys, Sabastian and Balian.